The ‘90s was a colorful decade for the Filipino music scene. Accentuated by the statement-making music of a plethora of OPM bands — each with their own unique sound, style, and personality — the period proved to be a golden era for the rock and alternative music genres. 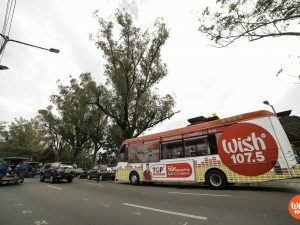 A production by Wish 107.5 and La Verdad Events Management, the show will be headlined by Wency Cornejo of AFTERiMAGE, Naldy Padilla of Orient Pearl, Lei Bautista of Prettier Than Pink, Glenn Jacinto of Teeth, and Cooky Chua of Color it Red. It will take place on December 28, 2018 (7 p.m. Dubai Time) at Saeed Hall 1, Dubai World Trade Centre. 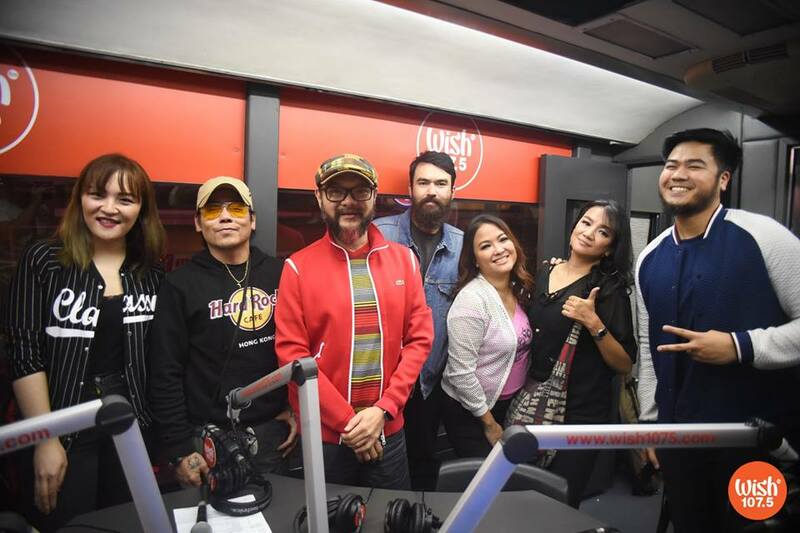 During the show’s digital press conference last Sunday, November 25, Bautista shared the group’s excitement to perform for Filipinos based in the United Arab Emirates city. The five, together with seven other OPM rock figures like Paco Arespacochaga (INTRoVOYS) and Stephen Lu (Rizal Underground), performed at a sold-out show on November 17. 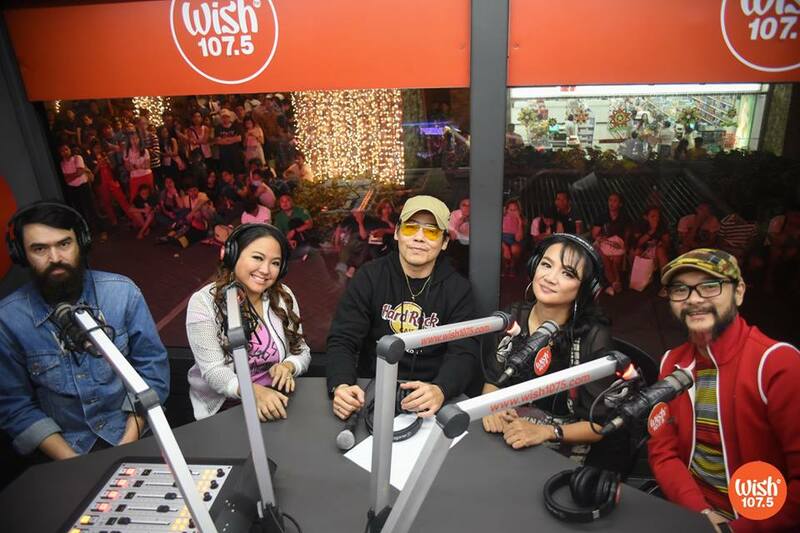 Wish 107.5’s DJs Alice and Adam with ‘90s OPM sensations (L-R) Naldy Padilla, Wency Cornejo, Glenn Jacinto, Lei Bautista, and Cooky Chua. 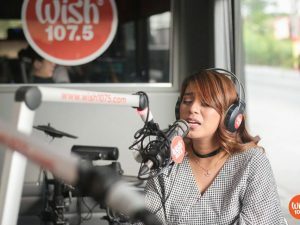 Meanwhile, Chua noted that the show is a perfect bonding event for families as the anthems that their respective bands have produced can be considered generation-transcending. 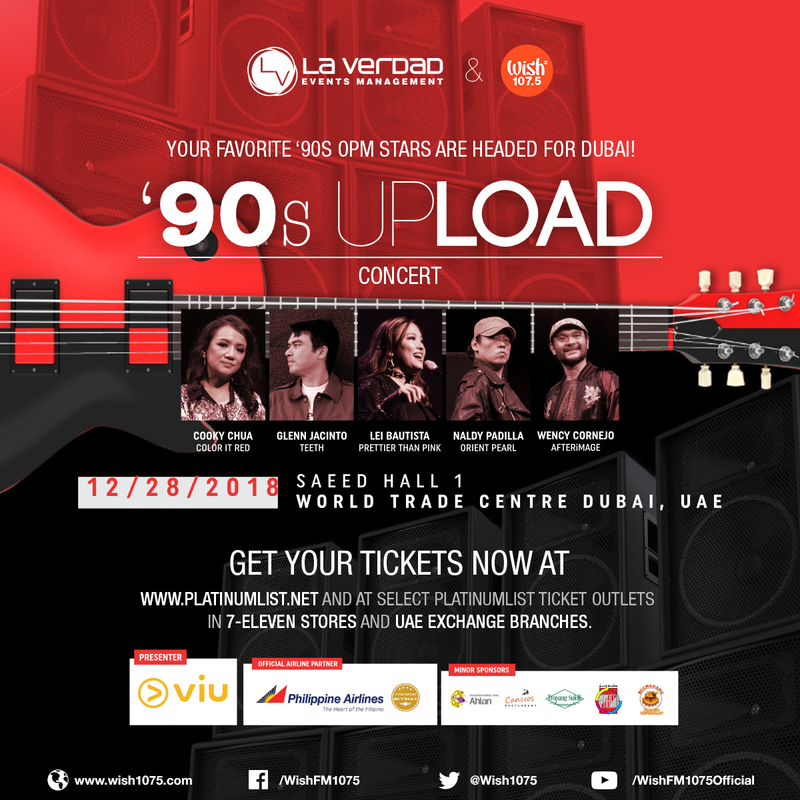 Tickets for ‘90s Upload are now available online at www.platinumlist.net and select Platinumlist ticket outlets in 7-Eleven stores and UAE Exchange branches. 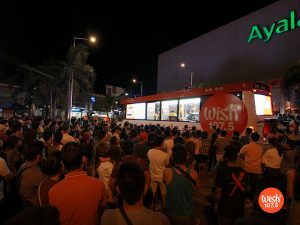 This concert is a production of Wish 107.5 and La Verdad Events Management. It is presented by VIU and its official airline partner, Philippine Airlines, and sponsored by Ahlan Services, Cancios Restaurant,Tropang Sulok, Zabeel Printing Press, Bulwagang Filipino Restaurant, Magic Star Karaoke, and Petals By Camille.